History - Ballet Arts Centre of Winchester, Inc.
Ballet Arts Centre of Winchester was founded in 1990 with the goal of offering the surrounding area a unique, quality "Program of Dance" designed to meet the needs of a wide range of students of varying ages and levels. In the years since, the school has become an established and integral part of the community we serve, drawing a student population from as many as twenty greater Boston cities and towns. Since its inception as a neighborhood school, Ballet Arts Centre has grown throughout the years to be recognized as one of the area’s leading schools for quality dance training. In 1999 BAC performed its first "Nutcracker" ballet with the addition of the "Ballet Arts Centre Performing Theater Company" giving students of all ages the opportunity to audition and perform in a professional production. In addition, BAC has provided students of all skill levels with the experience of performing in many different venues, such as our Annual Spring Performance, Winchester Town Day, community outreach, and holiday celebrations. Over the years the school has hosted many special events for students and their families to celebrate the joy of dance, including The Sweetheart Ball, BAC Fairy Festival, Cinderella’s Gala, So “We” Think You Can Dance contest, “I Love the Arts” Month, BAC Movie Night, and more. 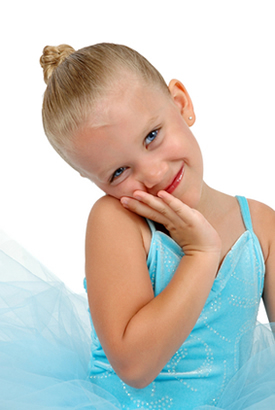 BAC has been repeatedly voted as the “Reader’s Choice #1 Dance School” both locally and regionally throughout the years. In 2000 BAC’s Track A Program, more recently known as Performance Groups and Performance Company was introduced to provide a pre-professional experience for students wishing to pursue dance at the collegiate or professional level. As a result the program has created many unique performance opportunities, not just for its participants, but for the entire student body to enjoy as well. Performance Group and BAC Company students have been accepted into some of the country’s most prominent summer dance programs, and many have gone on to study and train at prestigious dance colleges and universities. For twenty six years, BAC has been committed to instilling the love of dance in thousands of students who have come through our doors. We believe children who have the opportunity to dance gain self-confidence, dedication, discipline, and a passion that will last a lifetime. We look forward to inspiring the spirit of dance in the next generation, and for many more to come.